This Blog originates from California out of a Production Office nestled in the getaway ranch of our hair-covered leader. Although still working in the world of Commercial Production, our Executive Producer and Blog Master steals every moment possible to be here with her 13 horses (of all shapes and sizes), 4 dogs, 3 cats and very patient hubby. This is a once-in-a-lifetime opportunity for Last Chance Corral. They are soooo deserving! I am putting together a video slide show presentation for YouTube that will feature images of BLM-abused mustangs. The presentation is set to music by a very famous European contemporary composer, music so compelling that the already arresting images will gain double impact. I am asking the mustang-loving community to help me in this by sending me good resolution .jpgs, .tifs, .bmps of mustangs abused at roundups or suffering in holding pens, images that have emotional gravitas. If you would like to add a short caption indicating event and date, that would be helpful, perhaps a short note of your own. Thank you for spreading the word and passing this on. I feel this is one way I can contribute to a betrayal by the BLM of their charges that has reached a boiling point. Really interested in going bitless. Does the LG work with a tie-down? Dawn and Mamma Tess…I’m thinking of You both…Dawn…I would be doing all you on behalf of “My Jack”…who passed away at the University of Florida last January…They knew they had our permission to do “what ever” it took to bring him home to us..So disheartening…we were not able to bring him home..
Any headstall should work – as long as you can attach a bit – you can attach the LG. Hi – Would my simple French cavesson bridle work for the LG, or does a Western headstall have to be used? I’m trying to figure out what extra equipment I would need to buy if I went ahead with purchasing the LG. Thanks! I’m VERY interested in your bitless bridle. I have been unable to ride for a few years but when I do ride I want to do it without a bit. Thanks, I’ve heard this is a great bridle! I would like to order the LG bridle. 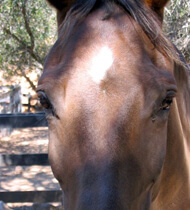 Dear Dawn, I would love to order a LG bridle in Black and can wait until you have a group order. Let me know what I need to do. Thank you so much and I so enjoy your blog and often share it. I would love to order one for my gal. I’d like black. What additional information do you need from me? Thanks! I tried to order Skodes Treats and received a refund with the note that they experienced a devastating fire and couldn’t fulfill the order. Please express that my thoughts and prayers are with them as they recover. I find the LG bridle very interesting. I have a Peruvian Paso that I trail ride with. 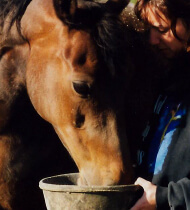 When I first got him, I rode with a hackamore. Couldn’t hold or stop him at all. Ended up riding with a smooth snaffle after trying many different bits. He’s had some mouth damage before I got him–scars on his tongue. 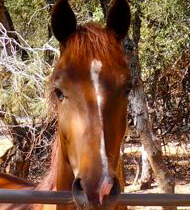 He always carries the snaffle under his tongue. I would like to ride him bitless if I felt I could stop him. I watched the second video, couldn’t get the first on to load. In your experienced opinion, can this bridle be used on a gaited horse in the woods and fields on trails? I don’t show and seldom ride in the ring. Thanks. I did read the Off Track Thoroughbred article ( I do subscribe to the blog) I think it’s just the best idea . Certainly a step in the right direction. More need to take notice and follow through. I’d like to see something like that at the Del Mar meet this summer. Good Morning – Oh my gosh, I loved your blog today and really laughed hard. I thought I was the ONLY ONE that got such a huge kick out of seeing THE BROWN TRUCKS LINED UP WAITING TO HEAD OUT!!!! Not even sure why I thought it was funny, but to me it was….. Always enjoy your thoughts for the day. Heavy rumors flying around about the coming of Zenyatta’s second foal. Nothing from those ( owners/ Bloodhorse/ or Lane’s End. Always hoping for the best for all the Mama’s and babies. It can’t always be easy-peasy. Just saw the pix from last Sat and wondered about the caption on the picture of Rachel Alexandra. What happened to her? Full recovery from what? Have I missed the chance to order the bitless bridle? HI, I am the person that made the braces for “Star” and I will be on my way to Alabama to cast “Lucky for bilateral front leg braces on Sunday. First off, as an animal lover and an active animal rescuer, THANK YOU for getting the word out to fellow animal lovers about these efforts to help. Not only do I make legs and braces for animals, but I am President of Sumter Disaster Animal Response Team, in Bushnell, Fl. We respond all over the world to disasters of every type. Rescuing animals is definitely a passion for us. Second, keep up the great work and I look forward to reading more stories of all kinds and being there to help when asked. 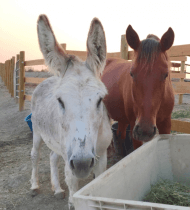 We operate a 501C3 Horse Rescue in Pasco Wash, and need your help to place 6 severely emaciated horses that arrived at our facility from Oregon 11 days ago. Would you consider posting some photos of the horses, to get coverage in your area? One was a PMU mare, with the number 115 stamped on her left shoulder. A Tb gelding named “Woody Do Little” raced and won just over $28,000 on Washington tracks! 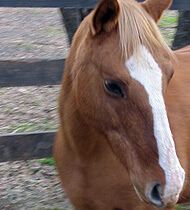 A beautiful palomino paint mare, who has obviously been a 4H horse. Creaking bones – Omega Alpha Sinew X.
Creeking bones – Omega Alpha Sinew X.
I have not used one, but have heard it works for ringbone. Give it a try and please let me know! Hi, I am interested in ordering a LG. Can you assist me in choosing the curb or the chain. And let me know payment arrangement. 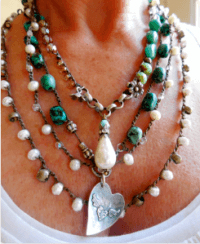 haven’t received any blogs for may 17th or 18th…..Help!!! I’m lost without them!! Sorry Dawn, I left out a charater. Hi: I am trying to contact you but your email address above “famp@gmail.com” is failing. Please let me know how to reach you. 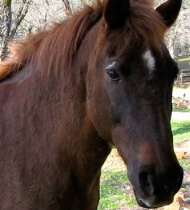 LG….Yes I would like 2 more of the LG ‘s I gave my first one to my horse trainer for her birthday and now need 2 for me! Two and one of each color is fine or the same..let me know!!! Marty Tadtman Thanks!!!! Your return email was not allowing me to contact you for some reason… could you contact me at: horseandman@gmail.com? I can give you instructions on how to order… very easy. You will love it! I understand how you feel. I am not a supporter of the BLM. I’m guessing that you are not a frequent reader (Welcome!) and therefore are not familiar with where I stand on the BLM issues nor did you have the time to read the linked post to this post which told about my sentiments before I actually attended a Prisoner Trained Adoption. Having said that, to be clear, I would rather have an outlet for all of these penned wild horses than have them sit in BLM paddocks. I have never and will never support the roundups. But, thank goodness there are programs where these poor souls are trained and offered for adoption. It benefits the inmates, the horses and people like Me, who have adopted these incredible animals who would otherwise languish in their holding pens. 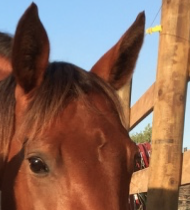 So, although I understand your frustration with the BLM, please don’t assume I support the BLM when I write about or adopt a wild horse from the Prisoner Trained Mustang adoptions. I’m supporting the horses and hope that through my blog, more awareness of their plight and their availability will be known. If just one more horse is adopted because I wrote about it, then I can sleep better. I question your inclusion of the Nevada prison horses only because the project is headed by the largest enemy of horses in the country–the Federal Government in the guise of the Bureau of Land Management. You have given BLM positive press when it should receive nothing but criticism and animosity for what it has done–outright murder–of tense of thousands of our wild horses and burros JUST TO FATTEN THE WALLETS OF THE BEEF KINGS AND THE BEEF LOBBY AND THEIR OWN POCKETBOOKS. I’m really surprised you’ve done this. J’anime un blog qui présente la biodiversité des animaux de ferme. J’ai publié plusieurs billets parlant d’animaux frisés et j’aurais voulu présenter Norma. Bien sûr, mes sources seront citées et un lien vers votre site sera créé. Puis-je avoir votre accord pour le faire ? I have a blog which presents the biodiversity of the animals of farm. I published several texts speaking about frizzy animals and I would have wanted to present Norma. Of course, my sourceswill be quoted and a link towards your site will be created. May I have your agreement to make it ? When will you be placing an order for the LG Bridles? When is the deadline to let you know we want to order one? Are there any options, like color, etc, we need to consider before ordering? I would like to be included in your next order for $125 for the LG bitless bridle in black, smooth curb. Please let me know when you will be ordering and how to pay. Thank you! 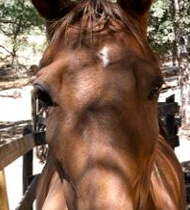 I have one LG bitless bridle for my mare, and since we will be aquiring another horse I’d like to get her one as well. Please add me to your list for your next purchase. Hello I have a good friend who is revolutionizing the shavings industry and recycling the shavings to be used again. They are going to be in practical horseman next year and i thought you would be interested in checking it out and possibly blogging about it. This really is the future of horses and livestock. Please email me and I will direct you to the website and other info. Thanks! Hi I can actually afford to order the LG bridle. Can I pay via PayPal? I would like one that is natural colored. PS: Absolutely love your blog. Would love to order this bitless bridle. Have been using several different types and want to try the LG. I have Arabs and ride endurance. Am assuming bridle will fit them. Hey Dawn! Your blog is super = makes my day =- thank you! I would like a bitless bridle with everything. My horse is 15 hands (spotted saddle horse) so I guess it will fit her? How much is it? I couldn’t find the info on it regarding price. I want mine in black. Thank you so much. Hi, I’m interested in ordering an LG but would you advise me please on how to decide between the smooth or chain curb? Also, is the natural colored leather a light tan tone? Thank you. What will you do when there are no more berries!!!!!! Poor Finn. Hello, I am an avid reader of your blog and enjoy reading it a lot. I don’t know if you have contacts in the Midwest but I was hoping you could pass along some info about horses in desperate need of homes. EMPIRE, MICHIGAN FREE HORSES!!!! 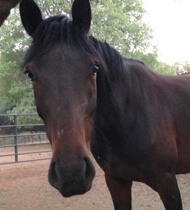 52 thoroughbred horses need homes. Will go to Sugarcreek this Sat. for slaughter. Gentleman died and his son wants nothing to do with them. Most broodmares are broke and some are in foal weanling, yearlings, 2 yrs and 3 yrs old most are gelded. FREE and papered. Friend of the deceased is trying to find homes 440-463-4288 Barnesville, OH. How do I order an LG bitless? I hear they run large. Should I measure? If so, where? Also, is the “wheel” ever a problem for the horse? Looks a bit bulky but people seem to love the LG. Thanks! Ok just to let you know, I ordered the summer special of balm, and cleaning stuff for horses. As always a fan of your website. Hi, I would love to order a LG bitless bridle in your next order! Let me know the details, total price, etc. Love reading your blog!! I would like to order the LG in black with smooth curb. Yay for Finn!! Enjoyed reading about his advancements and progress. (And enjoyed imagining you singing various show-tune inspired songs of encouragement. :) ) Happy Mother’s Day! See you guys soon! I found this article so interesting as my dear brother was a member of The Old Guard at Arlington and was there during Black Jack’s reign. As I am a horse lover and owner, I was in awe of the stories he has shared. 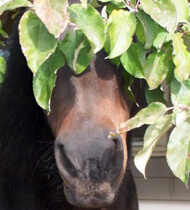 Hey- tune in to http://www.horsesinthemorning.com today for a special surprise! I am an avid reader of your blog and I just had to talk about it! I know this site is mainly about horses but check out the Beggin Strip Barkus Parade in St. Louis, MO tomorrow. My dog Charlie (shepard mix) and I are going — he will have beads hanging off his sides with a sign “Wanna be an Afgan hound). I have a project that I have been working on that connects my artwork to helping to save horses from a local high kill auction. If at some point you would be interested in what the group we have formed is doing I would love to talk to you about it. My site is at art-for-horses.com Thank you! I am interested in a black biothane bitless with both chain and leather chin strap since I don’t know which will work the best. Is this possible? How long will it take to arrive if I wait for you to do a group order? I’m afraid this is going to seem nasty, and I am going to try to write it as politely as possible…but this is a really condescending story and I seriously hope Ms. Eistell does not come across it, or if she does, that she is not able to read English. Please seek out a source of info about disability awareness and reconsider the tone of your writing. It is great to be supportive of this athlete, but it is not really great to condescend like this. There are many, many people who achieve great things despite disabilities, and I think the great majority of them would prefer to be honored for their achievement, rather than for their “inspirational nature”. I personally spend a lot of time cycling with people with disabilities…and I can tell you they HATE It when people gush about how inspirational they are. We make a big joke out of those comments, but I know my friends would just prefer the people keep their comments to themselves, b/c although they make fun to deal with the discomfort, they would prefer to be treated with respect. Just as a suggestion…try rewriting the article as if you were impressed by the rider as a woman…I have a feeling it will sound really condescending to you…I’m sure you don’t think you are an exception as a competent woman (which I’m sure you are). definitely interested in purchasing one next time you order some i am in. Just read Dawn Duncan’s “Playing in the Imaginary Paintball Championships with my Horse and the Yellow-Crested Cyclist,” printed in the September’s Northwest Rider. I have the suspicion a lot of us are more like Dawn than the sleek professional riders; we’ll get up on anything on four legs with a hairy tail, and it’s a toss-up who’s in charge or smarter, or how many times we fall off or get torqued off because we got up on something too hot for us (a little Tai-chi will help cushion the bruises or at least prevent breakage). WE don’t care — it’s a Horsey! Thanks, Dawn. Now I feel better about how I ride! We are the rescue that took in Angel and her 4 foals from the feedlot. 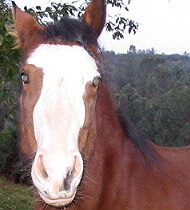 The amazing fact in her story is that she collected the foals ON the feedlot before she ever came to our rescue. She saved their lives all by herself. I was told”The palamino mare now has four nursing, all treated like her own..can u take them all?” Thats why angel is such an extraordinary mare. She is fine , happy living about 4 miles from the rescue! I am a fan on facebook, and would like to congratulate you on consistently delivering interesting, touching, humorous, and useful articles, with a very worthwhile goal in your Bucket Fund. I have shared many of your newsletters on my facebook page. It is people like you who bring a much-needed awareness to the plight of so many tragically “forgotten” horses. I look forward every day to receiving your latest blog in my email inbox. Keep up the good work! Love the pictures, thanks for including Gabe and Topper. Love Pignon, I’ve read about him before, what a whisperer. 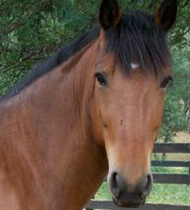 Love your pictures of your horses, so cute. I just had to comment on you story of Gwen. She is quite the beauty. A great read that brought smiles. Thanks so much! We supporters of Beauty’s Haven need all the smiles we can get right now. Many of the rescued mares have been found to be pregnant as suspected, with nursing foals at their side. Most unfortunately, Lana who is just 2, is one of the mothers to be. Just unbelievable as she must have been a yearling when bred. I want to thank you for designating BH as the Bucket Fund this month. Ill mothers and foals have amassed quite a large medical bill with hospitalizations and vet calls. All are holding their own at this point, but one little foal remains critically ill. We can see many medical expenses coming down the road. But a road well worth traveling to save these precious ones. Thanks again for everything. I so enjoy you emails everyday. I just wanted to thank you for the outstanding job you did for The Golden Carrot and, especially, its unsponsored horses. I have been volunteering with Casey for about 6 months and have fallen in love with each of these venerable, velvet-nosed creatures…my first experience with horses, so I have much to learn, but I can’t imagine a better teacher than Casey and her 37 teaching assistants. Lew’s loss, which you gently wrote about, is a great sadness for all of us…especially so for Casey who never stops grieving for the ones she has had to let go. Thank you for sharing it with her. I liked your update on Mac at Strawberry Mountain Mustangs. I’m glad Darla adopted Mac. What a beautiful, loving relationship they have. 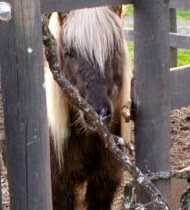 I am sure it helped Darla after losing Buddy, the mustang she took in that inspired her to become a horse rescue. I used to follow her and Mac and Buddy’s story on the Alex Brown website when she used to post there when Mac became injured. She posted a moving account of her relationship with Buddy after he died a few years back. She also posted on the progress of Mac’s leg. She is definitely a dedicated woman. it a breed, like the Pinto. The pinto is a color, not a breed. 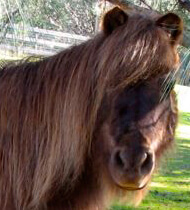 However, most people will call it a Pinto and not its breed type. This is about your Curly write up. The curly horse is not a breed. it has many many breeds of horses in it. Even the ABCR is a mixture of different horses. Not all curlies or curly coated horses reg. with ABCR or ICHO are hypo-allergetic and the ICS reg? it is a joke. Unless handled from birth most curlies are very stubbern and many have bad temperaments. I saw a bay or, as they said a Grulla, stud in BC and he was scared of everything. Most even have very long backs and very bad legs and are very narrow. We all laughed at how narrow the breeding stallion was but he was maybe 14.1 or 14.2 hands high. People with these horses should look for good stallions to cross to their curly mares. They are grade horses with papers. By adding different blood the type of curly coated horse can be improved. To prove it is not a purebred or even full blood. Draft and pony crosses are “reg” together and not in different devisions. No seperation of gaited or non-gaited. Curly is not a breed. it is only a trait. 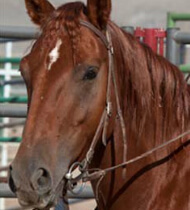 People should know the truth and know that when they buy a curly horse registered or not with ABCR or ICHO they are not getting any type of purebred or full blood horse. It`s like a Palomino registry, any breed(s) registered based only on color, curly reg, based only on curly coat or if from non curly coated parents as long as 1 parent is ABCR or ICHO reg, the foal can be registered. Again the Sport registry is even more of a grade registry then the other two registries. People just need to be aware! Please! I love your site, and I’m a fan on Facebook. I wanted to pass on this story about Amigo, who I’ve been following on Facebook for two months. What an incredible story about an amazing horse!! This article is the most recent of many written about him, but it’s the most concise. 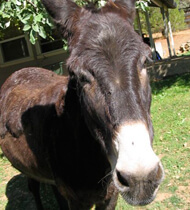 Hope you enjoy reading about him as much as I do, and also hope you become a fan of Amigo’s on Facebook! I’d love it if you could share this story, and I’m sure his owner, Gary, would too. but lover of them all.